As the people person for your company or organization, you can often carry a lot of unexpected emotional weight. Your team may come to you to discuss their stress, conflicts and traumas. But once they’ve shared all of this, how do you prevent yourself from taking on their issues and adding them to your own? This progressive practice includes surveying their entire workforce once a week on what they call Feedback Friday and "automagically" curating content to each People Leader to help them level up their employees' experience. PeopleOps presents a breakfast session about space and functionality for your office. Join us, Christi Rivard & Kyla Bidgood of Bidgood+Co Interiors to talk about the modern office: Planning approaches, today's workplace trends, and more! PeopleOps is happy to present a presentation and round table discussion on how to build a structured process around interviewing and why it is so important for reducing bias, creating a great candidate experience and protecting your company from bad hires. Join us as Noah Warder, Director of Operations at Dyspatch talks about their process for interviews and how it has helped them hire their current team. Join us Thursday March 21st for a BYOF lunch at the Dyspatch office located at 737 Fort St. Snowstorms got you down? Shake off the winter blues by joining us for our first social event of 2019! Come out and meet your fellow People Ops people during this casual happy hour. There’s a lot of great events coming up this year so take this opportunity to connect with our community (it makes coming to a seminar or lunch & learn a little easier). We'll meet at Earls in the Bay Centre at 4:30 pm on Wednesday, February 27th. 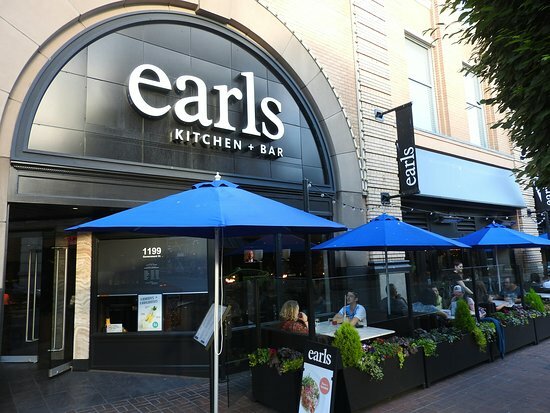 Earls has generously agreed to supply us with some appetizers. RSVP so we make a big enough reservation. Let’s get together to discuss strategies around designing compensation philosophies. Feel free to bring your own lunch and share at this round-table discussion. Soft drinks and soda will be provided. Come have a drink with us and celebrate our 5 year anniversary as the mighty and amazing PeopleOps! We are now over 100 members strong and that is something to cheers to. Appies and drinks will be provided by our gracious sponsor, Chartered Professionals in Human Resources of BC & Yukon. Where did you here about the event? How important is diversity on a development team? Lighthouse Labs and PeopleOps lead this panel discussion on the importance of diversity in tech! Listen to recruiters, development leads, and members of the Victoria community share their experiences on the benefits of having a diverse technical team, and how it strengthens a product and an organization. Anyone who wants to join the tech industry, or is a part of it! Whether you've got big questions you'd like answered or you'd just like to swing by and learn a little more, you're welcome here! Software Development Team Lead at the North American arm of international e-commerce group, Bambora. Aurora participates in the full design and development of code, plus the development and management of her team. Human Resources Recruiting Coordinator at award winning software firm, FreshWorks Studios. Lexi is armed with international experience recruiting and working in the tech industry. HR and People Operations Manager at the travel tech focused Checkfront. Amanda has a strong track record in providing exceptional client services. She focuses on continual quality improvement in both products and services to meet operational goals and drive success. The Director of Career Services at Lighthouse Labs. With her HR background, Charlyne is a powerhouse with the inside scoop into what employers look for with her deep roots in the tech industry. Kate has worked with everything from train electronics, e-commerce software to video platform technology. A software development engineer at the leading finance and HR cloud application provider, WorkDay, Kate also invests in the Victoria community as the local Youth Chapter Lead of Canada Learning Code, and leads the Workday Giving & Doing Program. Glenn Barned is a Professional Occupational Health & Safety (OH&S) Consultant with RGB Enterprises. With over 30 years of experience in OH&S, Glenn has worked with both public and private sectors, achieving their OH&S goals. Glenn is an instructor with the WorkSafe programs through Trades & Technologies at Camosun College, as well as a past instructor for the Business School for the HR Degree Program where he has developed and delivered a 3rd year course in Health Safety &Wellness. Glenn has also instructed for the University of Victoria in Risk Management and for a variety of NGOs and various clients in most industries. Glenn is a Chartered Professional Human Resources, a Certified Health & Safety Consultant, a Canadian Registered Safety Professional, and a Certified Ergonomic Specialist. Join PeopleOps and Farris Law Firm to chat all things legal, specifically focusing on Terminations (with and without cause), Medical Marijuana in the Workplace, and Bullying and Harassment. These hot topics will be discussed and there will be time for Q&A with some short breaks in between. Please RSVP to secure your spot! NOTE: This event is full!! Sorry - please catch us next time! It's Christmas in July! Or something like that. Many organizations will have either already planned their holidays parties or are in the process of planning them and we thought it would be great to get together to chat about all things events and event planning. This will be an informal session where we can chat and share ideas about best spaces, caterers, event rentals, etc. Come with ideas and questions! Summer is finally here and we haven't socialized in a while, so please join us for a drink on the patio. Huge thank you to Checkfront for hosting! Please RSVP below. Thank you! We look forward to seeing you there! Learn how to conduct a workplace harassment investigation with guidelines to make sure you are fair, timely, and doing a thorough investigation. Engaged HR, in partnership with PeopleOPS, is proud to present The Deep Dive with Kingsley Strudwick, exploring Gender Diversity in the Workplace. This event requires registration/ticket purchase, please see information below. Diverse gender expression and exploration are valuable elements of our ever-evolving communities. It is important for contemporary organizations to understand, embrace, and adapt to these exciting cultural shifts and to keep up with human rights progress. Kingsley Strudwick will introduce a framework for understanding gender diversity beyond the binary, offer examples of gender-affirming workplace practices, and explore strategies for applying these learnings on a personal, relational, and systemic level. record keeping, benefits, and more! Kingsley Strudwick has been facilitating in the anti-violence and community engagement sectors for the past nine years, using an anti-oppressive lens to explore issues including cultural safety, workplace best practices, and gender diversity. As a natural extension of Kingsley’s five years of offering education through the Victoria Sexual Assault Centre, they founded Ambit Gender Diversity Consulting, a company dedicated to improving staff and client experiences for transgender, gender diverse, and two-spirit people. By working with organizations who are also committed to this goal, and through first-hand experience as a trans person, Kingsley is contributing to the development of best practices for supporting and engaging this multifaceted community. You may recognize Kingsley from presenting at DisruptHR on the topic of “Moving Beyond the ‘Trans Tipping Point”. Seating is limited. If tickets are available, they will go on sale to the public on April 10, 2017. People and talent drive the success or failure of tech companies. HR Tech Group and VIATEC have partnered to deliver a series of 3 workshops for tech companies in the Greater Victoria area who want to learn more about key HR practices. For over 25 years, HR Tech Group has been supporting HR practitioners at BC tech companies with access to salary data, employment practices, and tips on how to attract, retain and engage your tech employees. Join us at our upcoming workshops on Performance Management, Compensation 101, and Hot Legal topics. Register for free using the link below. For more information on HR Tech Group or purchasing our annual BC Tech Salary Survey, go to www.hrtechgroup.com. If you have specific questions about these events, or joining the HR Tech Group contact Sarah Cranfield. As part of our three part workshop series, the 3rd topic will be Legal Issues for HR. There will be no cost to attend this workshop, but please register so we have numbers for seating and refreshments. As part of our three part workshop series, the 2nd topic will be Compensation 101. Our first event will be on Thursday, February 2nd. performance ratings - use them or not? Led by Joanne Spalton from Kwela Leadership Training, this interactive session will provide some tools, frameworks and templates that you can use right way to introduce or enhance the performance management practices within your organization. The workshop will be held at ViaTECs offices at Fort Tectoria, 777 Fort St.., on Thursday February 2nd from 8:30am to 11am. Registration opens at 8am. Attendance is free, but please register so we have accurate numbers for seating and refreshments. PeopleOps presents a lunch and learn on space and functionality for your office. Join us and Kyla Bidgood of Bidgood + Co Interior Design to learn about the best way to lay out an office and more! The holiday season is approaching! Let's get together and share stories and cheer at Varsha. Appetizers generously donated by Varsha. Come join Amanda Bell as she talks about Recruitment and Diversity and how Lever leveraged (pun intended) their current team to find recruiting success! Amanda will go over strategies, tips, and best practices on how to get your team on board and use your employer brand to create a truly comprehensive candidate experience that can increase your recruitment pipeline. Lever is one of the fastest growing companies in Silicon Valley and specialize in Applicant Tracking Software. They have been featured on HROS and Amanda has given talks at various HR conferences about Lever’s success with recruitment and their diversity and inclusion initiative. In this webinar, you'll learn about what it takes to navigate the Labour Market Impact Assessment process and tap into a global talent pool that is eager to work in Victoria. Ilya Brotzky will share the step by step process of the LMIA and his top 5 tips for getting approved. He'll also go over the basics of hiring international talent and chat about the VanHackathon, the upcoming virtual hackathon where over 600 developers will work on projects to show their skills to Canadian companies. As the CEO of VanHack, Ilya fosters economic development by empowering international tech talent to get the skills and connections they need to join the Canadian startup scene having helped almost 70 developers and designers get hired in the last year. Video URL will be sent to you upon registration. Thank you for registering for this Webinar. Presented in partnership with HRMA! Introducing Payroll 101 – requested by popular demand from our community! Join your PeopleOps colleagues as Glenda from Payworks walks us through your FAQs around payroll practices and recent trends. Not a payroll administrator? No problem! You are still welcome to come out and learn the ropes. Payworks provides total workforce management solutions, including payroll, human resources, and employee time management solutions to businesses of all sizes. Our unique value offering encompasses the latest in computer technology combined with a truly customer-centric service philosophy. The key to Payworks is the single unified database design. Coffee & pastries provided by Payworks. Please note that the event will be held at Spacestation (517 Fort Street, but you can access the space via Langley Street). We will be letting people upstairs from 8:15am - 8:30am. If you arrive outside of that window please DM Noah via slack or mobile 250-516-1103). Join us for a PeopleOps breakfast sponsored by Megson FitzPatrick Insurance to learn about what is new and trending in the world of employee benefits. Keray Scott will teach us how to build a competitive benefit plan, how to benchmark against other offerings, and how to best approach your renewal negotiations. This will be a benefits presentation you won't want to miss! Come and enjoy a free breakfast and learn how best to reward your team while you are at it.